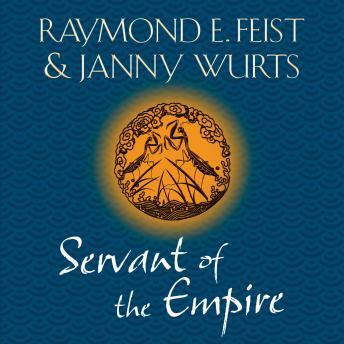 Book two in the magnificent Empire Trilogy by bestselling authors Raymond E. Feist and Janny Wurts. Nobody knows how to play the Game of the Council better than Mara of the Acoma. Through bloody political manoeuvring she has become a powerful force within the Empire; but surrounded by deadly rivals, Mara has to be the best simply to stay alive. But Lady Mara must contend with battles on two fronts: in the hotbed of intrigue and treachery that is the court of Tsurani; and in her heart, where her affection for a barbarian slave from the enemy world of Midkemia leads her to question the principles by which she lives. Servant of the Empire is the second in Feist and Wurts' wonderful epic trilogy - one of the most successful fantasy collaborations of all time. The trilogy concludes with the third book, Mistress of the Empire.